He was walking away from me and I didn't know how long he would stick around so when he turned quartering away I let fly. 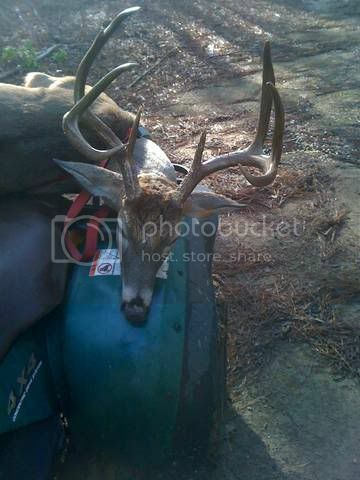 My Browning BLR 30-06 with Barnes/Federal 165 found the mark and did the job. 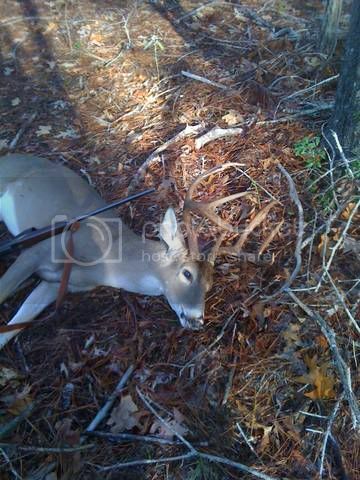 I thought the deer was hit hard as he ran off across the lane. 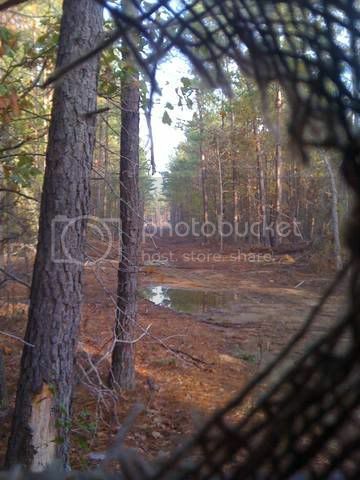 After a short search I found the buck piled up about 80 yards in the pines. I was told he was about 125 gross. 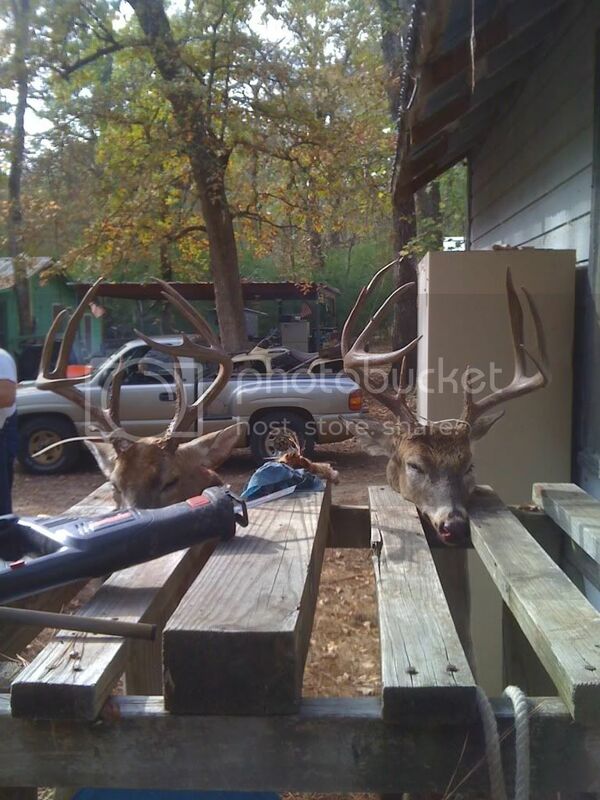 The deer on the left is more compact but I was told it measured up just a bit more than mine. What do you think?